Indulge with Us. Request a Review. PLEASE do not send review requests to our email. DISCLAIMERIt may take up to six weeks to be contacted. All review requests are sent to our reviewers. Should a reviewer select your book, they will contact you directly to get a copy of the book, set a date for the post and to determine how you would like to get involved. We receive more than double the review requests than we can actually accept so be aware that we cannot possibly contact everyone. You will be contacted only if your book is selected. We know this seems impersonal but we just can't keep up. THE REVIEW IS JUST THE FIRST STEP. PROMOTION IS KEY. Once your review is posted, we promote it through facebook, twitter and google+. We make every attempt to also post it to Goodreads within one week of the post but this cannot be guaranteed. We do not always post to Amazon since readers can access Goodreads reviews from there now. You should promote too. 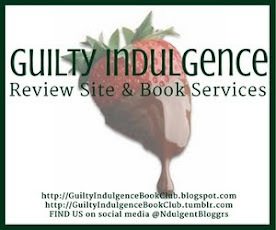 Feel free to quote our reviews on your blogs, websites and books with credit given to Guilty Indulgence Review Site. Add our badge to your social media with a link back to our review. Use all the available online outlets to promote your book. If we posted a review, it means we liked your book - we only post reviews on books we like, love or find indulgent. Don't be shy... promote! If your review earns the ULTIMATE INDULGENCE BOOK AWARD, our top award, be sure to use either of the banners below to let your readers know.